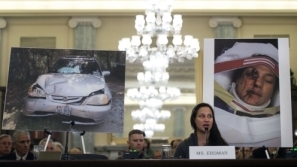 Several months ago, it was revealed that a dangerous defect in Takata airbags could cause injury to millions of Americans. A recall was eventually issued by Takata, but for those injured and killed by the defective airbags, the recall came too late. As a result of the injury-causing defects, multiple cases are pending against the airbag manufacturer. Todd Smith, a founding partner of Power Rogers & Smith, was appointed to serve as co-lead counsel for the economic damage class of litigants, which is now estimated to involve more than 34 million motor vehicles. Indeed, as the New York Times reported on May 19, 2015, “Takata, the Japanese supplier linked to faulty airbags in millions of cars, widened the scale of potential recalls in the United States on Tuesday to 34 million vehicles.” “‘Up until now Takata has refused to acknowledge that their airbags are defective," said Anthony Foxx, the transportation secretary. “That changes today. '” Read the full article here.